The muzzle break reduces muzzle flash and recoil. 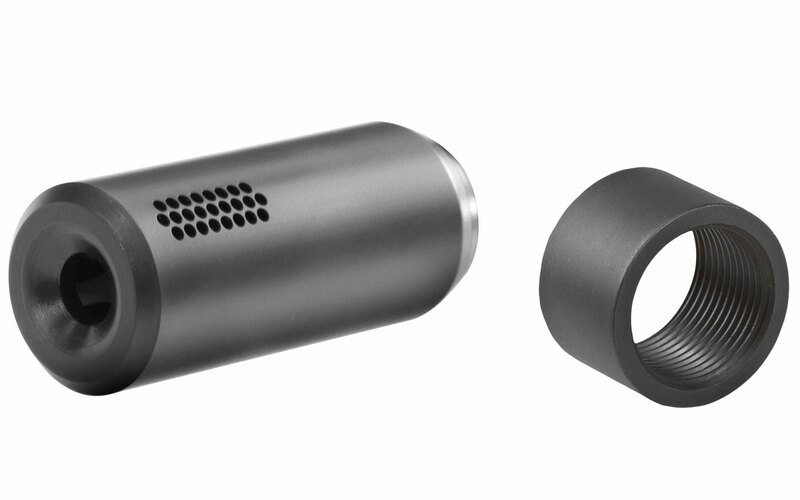 The 50-60cm long muzzle break is screwed onto an existing or to be made muzzle thread via a freely definable thread in the muzzle break adapter. The advantages: reduction of recoil, no increase of shot loudness, prevention of dust swirling to the bottom, side or rear, discharge of the muzzle flash, almost complete reduction of the muzzle kick, increased precision and the indifferent sound distribution makes it harder for the game to realise where the shot came from.